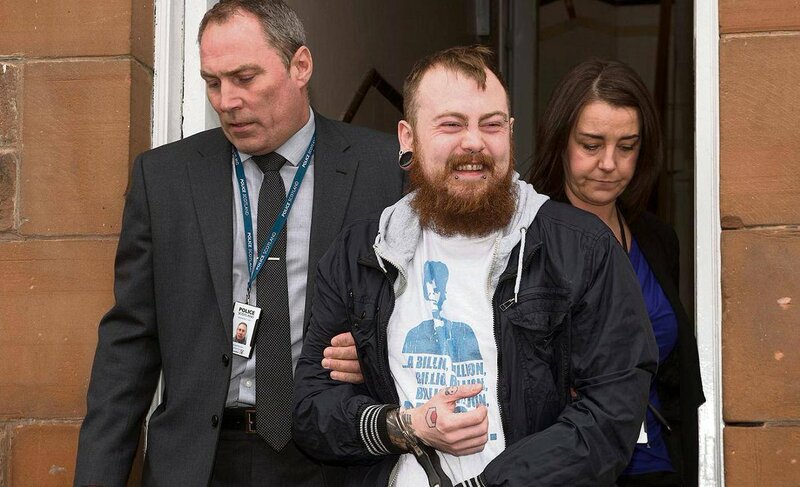 Today, Count Dankula (real name Mark Meechan) was convicted under the Communications Act. The YouTuber posted a video outside Airdrie Sheriff Court, Scotland before he was convicted saying. "If the worst comes to the worst and everything goes f****** terribly, keep fighting for free speech"
Meechan is due to be sentence on April 23rd. YouTuber Count Dankula has been slammed in court for making a video in which he tried to turn his dog into a Nazi. Dankula says he made the video as a joke, but Ephraim Borowski, director of the Scottish Council of Jewish Communities (SCoJeC), did not see the funny side, telling the court that the video was "grossly offensive". The Count, a Scottish YouTuber, is facing up to a year behind bars for the video, in which his girlfriend's pug (named Buddha) responds to him saying things like "gas the Jews" and "Sieg Heil". The dog is also shown raising its paw in a mock Nazi salute. "The threat is against the Jewish community and there is an echo chamber effect with people trying to be more offensive," Mr Borowski said. "Repeating over and over and over again in a positive and enthusiastic tone of voice to 'gas the Jews' is what this trial is all about, an offensive video and whether it is offensive or threatening."